We endorse Oakland Councilmember Dan Kalb and former Obama White House aide Buffy Wicks in the June 5 primary. This year's contest for the 15th state Assembly district, representing North Oakland, Berkeley, Albany, El Cerrito, and Richmond, is full of strong progressive candidates. In all, there are 12 people running for the seat being vacated by Tony Thurmond, who is bidding to become the next state superintendent of schools. And we think at least six of the candidates are worth careful consideration. In fact, we had difficulty narrowing the large field, because the candidates share many of the same liberal positions. 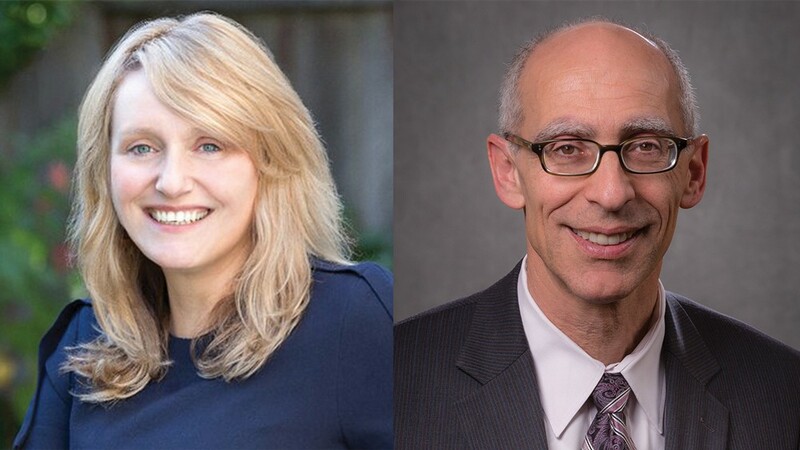 So, we decided to endorse two candidates for the June 5 primary: Oakland Councilmember Dan Kalb and former Obama White House aide Buffy Wicks. We think either one would be an excellent addition to the state Assembly. Under California's primary rules, the two-leading vote-getters in the June primary will face off in the November election. Later this year, we will endorse a single candidate for the seat. Earlier this month, the Express' editorial board interviewed each of our top six candidates during individual hourlong sessions. We covered a range of issues facing East Bay residents, from housing and homelessness to education, health care, and the environment. Kalb earned a spot in our top two through his considerable command of the issues and because of his record of accomplishments as an Oakland councilmember since 2012. Kalb is a skilled lawmaker, and his legislative record includes authoring successful ballot measures to create a civilian police commission in Oakland and strengthen the city's ethics commission. He also wrote Oakland's 2014 tenants protection law and the 2016 ordinance banning the handling of coal in the city. In some ways, the state legislature may be the best fit for Kalb's skillset. As a councilmember, the one knock on him is that he'd rather legislate than manage constituent affairs. In Sacramento, he'll able to focus squarely on writing and amending bills and garnering support for them, rather than dealing with residents who get upset about new bike lanes. A wonk's wonk, Kalb is also the leading environmental candidate in the race. He has a keen understanding of the need for California to transition to 100-percent renewable energy as quickly as possible, and he gets it that one of the most effective ways to reduce greenhouse gas emissions is to build lots of dense housing — both market-rate and affordable — near transit. Of all the candidates in the race, Wicks may be the most pro-housing. And that's one of the reasons she made our top two. In our interviews, she expressed the strongest support for Senate Bill 827, authored by state Sen. Scott Wiener, D-San Francisco, and co-authored by state Sen. Nancy Skinner, D-Berkeley. (Skinner held the 15th Assembly district seat before Thurmond.) SB 827 would require cities like Oakland and Berkeley to finally allow small- and medium-size apartment buildings and condos in transit-rich neighborhoods like Rockridge and North Berkeley. Wicks understands that California's extreme housing shortage and out-of-control prices are due in large part to cities blocking multifamily housing near transit for decades. "Building around the BART stops is really critical," she told us. We were also impressed by Wicks personally. She's a formidable and engaging person, and we think she'll quickly become a leader in Sacramento. A community organizer, Wicks worked on President Obama's 2008 and 2012 campaigns and then joined him in the White House in a leadership role in the Office of Public Engagement. We also very much like Berkeley school board member Judy Appel: She was a close third in our internal balloting. Appel is the education candidate in the race — none of her rivals can come close to approaching her knowledge of the many problems facing California public education. And we were impressed by her passion for criminal justice reform. Like us, she's also pro-housing near transit and pro-tenant protections. El Cerrito Councilmember Rochelle Pardue-Okimoto is also a fine candidate. A nurse at Alta Bates Summit Medical Center, Pardue-Okimoto has expertise in health care, and she's an avid supporter of passing single-payer legislation. But she's also comparatively inexperienced in public policy, and we think she needs to build her résumé in the East Bay for a few more years before she'll be ready for Sacramento. We feel the same way about Berkeley Councilmember Ben Bartlett: He shows promise, but he's only been on the council for a little more than a year. Berkeley, with its many problems, needs a smart and young energetic leader like him. The last candidate we interviewed was Richmond City Councilmember Jovanka Beckles. We've admired her work on the Richmond council, especially in battling oil giant Chevron and helping enact progressive reforms in the city. But of our top six candidates, she had the fewest ideas for solving California's problems. Finally, we repeatedly attempted to interview East Bay MUD board member Andy Katz, but he did not respond to us in a timely fashion.